Some problem behaviors in horses can be linked to tooth infections, according to researchers, who say owners need to be able to recognize the signs of dental pain. University of Helsinki researcher Jaana Pehkonen and her colleagues said it was apparent many owners did not realize that certain undesirable behaviors might be linked to dental issues. Pehkonen, Leena Karmab and Marja Raekallioc conducted a study involving the owners of 47 horses who had undergone a tooth extraction due to bacterial infections related to the tip of the root, more formally known as periapical infections. Such infections are common in equines. The owners filled out a 23-question internet-based questionnaire which explored their horses’ eating behavior, bit behavior, and general demeanor observed before and after tooth removal. Before the extraction, avoidance behaviors such as evading the bit, difficulties in eating, social withdrawal and even aggression were commonly reported by the owners. The trio found that removing the infected tooth significantly reduced the number of these behavioral patterns, suggesting that they could be associated with dental pain. Half of the cases resulting in tooth removal had been diagnosed during a routine dental examination, indicating that many owners did not seem to realize that certain undesirable behavioral patterns might be linked to dental pain. “These findings highlight the importance of training owners to recognize behavior potentially related to dental pain in horses and that routine dental examinations are essential for ensuring horses’ well-being,” the researchers reported in the Journal of Equine Veterinary Science. The authors noted that no previous studies had focused on the signs of dental pain associated with such infections in cheek teeth. Reported signs often include quidding of food, weight loss, external swelling, nasal discharge, watery eyes, bad breath, sinus problems, and bitting or head carriage problems. Other commonly reported behavioral indicators of head and dental pain in horses are headshaking, food pocketing, slow eating, an abnormal head posture when eating, and long strands of forage and undigested whole-grain particles in the dung. However, these particular signs are nonspecific and may also be associated with other issues not related to teeth. Furthermore, the signs may start gradually which can make it difficult for owners to notice them. As in many other animal species, pain may be difficult to detect. Horses may suppress any obvious signs of pain, as has been suggested with many prey species. Clinical evaluation of pain in animals is also subjective, dominated by personal bias, perception, and philosophy. The study team said their findings supported their hypothesis that root infections in the cheek teeth usually caused pain that was apparent in the behavior of the horse. As they predicted, removing the infected teeth reduced the expression of such behaviors. The researchers said most of the behavioral signs related to eating and drinking included in the questionnaire have commonly been associated with dental pain, and at least some of them were reported by most of the owners. Almost half the horses gained weight after the tooth extraction, and the same horses also had significantly more signs related to eating behavior before the removal than the horses who did not gain weight. Removal of the tooth presumably enabled more thorough chewing, leading to better digestibility and increasing the total amount of feed that the horse could eat. In the study, bit-related behavioral problems seemed to be a more common sign than those related to eating and drinking. “However, bit-related problems may be easier for the owner to notice because most of them probably exercise the horse more often than observe its eating behavior. About one-third of the horses in the study shook their head when exercised, and the majority of them improved after tooth removal, suggesting that dental pain may also cause signs resembling a headshaker. A careful dental examination should also be included in assessing headshakers, they suggested. The undesirable behaviors reported by the owners often made the horse unpleasant to ride and handle, they noted. After tooth removal, there was a notable drop in the number of horses that evaded the bit, were head shy, resisted bridling, or were unsocial with people or other horses. “Furthermore, some owners reported a positive change after cheek-tooth removal in horses that had been timid and bucked often during riding. “All of these signs could easily be regarded as misbehavior or inadequate training of the horse,” they added. Bad breath was the most common physical sign reported by the owners. In addition, a one-side nasal discharge, mandibular sinus tracts, and external swelling – which are commonly reported external signs of such infections – were seen in some horses. “These obvious external signs are probably easier to detect than behavioral signs, but they usually represent an advanced stage of infection. “However, as the number of behavioral alterations did not significantly differ between horses with and without these external signs, horses probably exhibit pain before external signs of periapical infection occur. 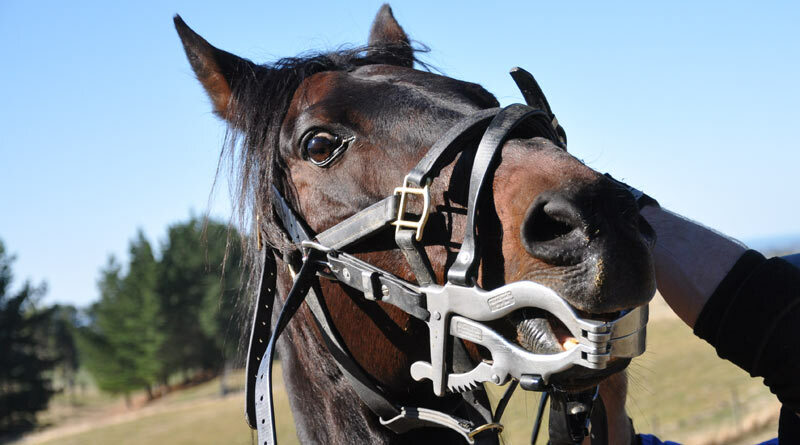 In general, the vast majority of the owners considered that their horse had benefited from the tooth removal. Some owners had also seen an improvement in the horses’ performance after extraction. The researchers propose that routine dental examinations are essential for ensuring horses’ well-being, even if the owner does not report signs of dental pain. Pehkonen and Raekallio are with the University of Helsinki; Karma is with Porvoo Equine Clinic in Ilola, Finland. Jaana Pehkonen, Leena Karma and Marja Raekallio.